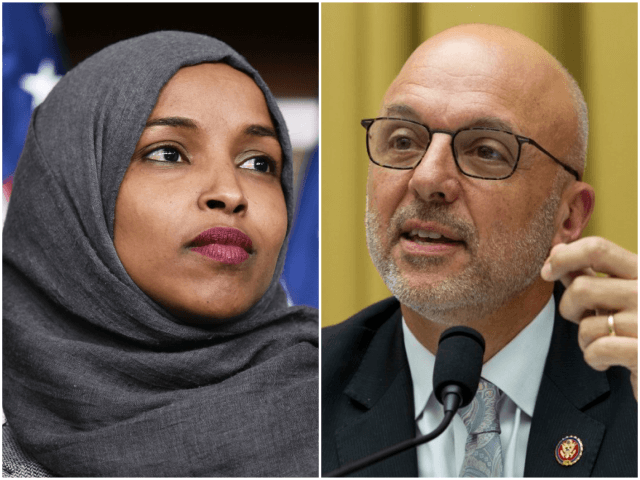 Florida Democrat Rep. Ted Deutch in an emotional speech on the House floor on Thursday slammed his fellow Democrats for tolerating antisemitism, after Democrats changed a resolution against antisemitism to one that condemned all hatred. After Rep. Alexandria Ocasio-Cortez (D-NY) and others came to Omar’s defense, Democrats decided to water down the resolution from just antisemitism to all forms of hatred. Deutch spoke out against that move, in a rare passionate appeal to his colleagues. “If there is anti-Semitism in your country, there is hatred that will ultimately permeate throughout society if it is not checked. I never thought I would need to explain that to my colleagues. This is not political. No one should make it political. The use of anti-Semitic language and images can never be tolerated,” he said. Deutch noted that millions of Jews have been hated, targeted, and expelled from their countries, violently attacked, killed, and exterminated. “Words lead to action and to death,” he said. He said there was a need to support all who are targeted by hate. “Why are we unable to singularly condemn anti-Semitism? Why can’t we call it anti-Semitism and show we’ve learned the lessons of history? It feels like we’re only able to call the use of anti-Semitic language by a colleague of ours, any colleague of ours, if we’re addressing all forms of hatred,” he added. “It feels like we can’t stay it’s anti-Semitic unless everyone agrees that it’s anti-Semitism,” he said. He reminded his colleagues that 11 people were just killed less than six months ago at a Philadelphia synagogue because they were Jews. When a colleague invokes anti-Semitic lies three times, this body must condemn that anti-Semitism. Anti-Semitism is worthy of being taken seriously on its own. It’s worthy of being singularly called out. Jews control the world? Jews care only about money? Jews have dual loyalty and can’t be patriotic members of the country which they live? “Words matter. For generations they have had dangerous consequences for me, for my family, and for my people. This shouldn’t be so hard,” he said.